Right now, people are pretty upset because the Dakota Access Pipeline construction is moving forward again. Yeah, that pipeline. People were just celebrating what felt like a win for #NoDAPL protesters under Obama, but Trump was quick to sign executive actions. 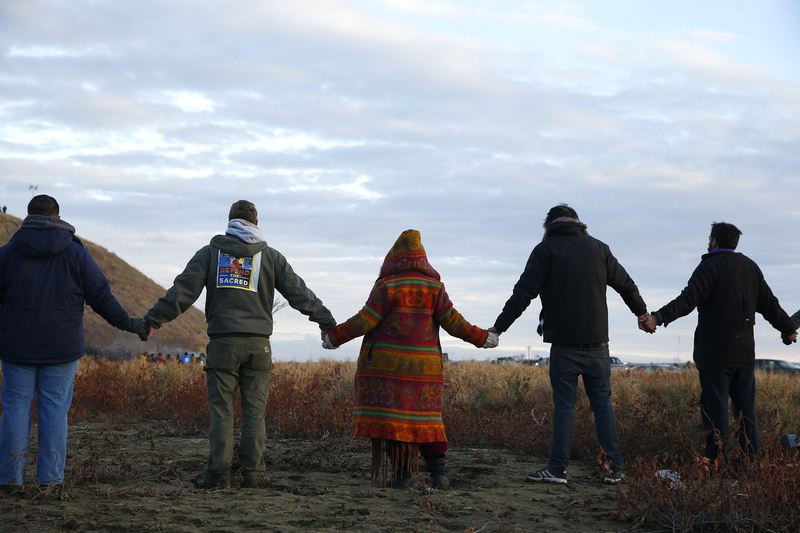 And now, the Dakota Access Pipeline has started back up. The concerns surrounding the pipeline remain the same, as some of your fave anti-pipeline celebs can tell you. One main concern is that if the pipeline leaks (which has happened before), it will harm many in North and South Dakota, including the Standing Rock Sioux tribe. Plus, this isn’t even the original route for the pipeline. Originally, it was going to go through the Missouri River north of Bismarck, but then that community expressed concern that their water could become contaminated…so they moved it, and now these communities are panicked. BREAKING: Army clears way for completion of Dakota Access oil pipeline with notice of intent to grant easement. Despite controversy on a HUGE scale, the Dakota Access Pipeline has started back up with support from Trump. It really does feel like the water protectors have done everything they can do. They’ve protested, and not just once, but for months now. They’ve tried to go the legal route. They’ve had celebrity support. They even had veteran support! Will the pipeline create jobs? Sure, but so does environmentally-conscious energy creation that doesn’t put sacred lands and water supplies in danger. Just sayin’. The brave people of Standing Rock aren’t going down without a fight, though, and that fight continues. If you want to support Standing Rock protesters, here are a few ideas!